idiopathic Having an unknown cause. A medical condition that appears suddenly with no apparent explanation is considered idiopathic. index of refraction A measure of how much a substance reduces the speed of light waves passing through it. The index of refraction (or refractive index) of a substance equals the ratio of the speed of light in a vacuum to its speed in that substance. Lenses or materials with a high index of refraction slow down and refract (bend) light more than materials with a lower refractive index. insulin A hormone that helps regulate blood sugar levels in the body. People with uncontrolled diabetes are at risk of developing a common and potentially blinding eye disease — diabetic retinopathy, caused by high blood sugar. intermediate vision Generally refers to eyesight at approximately arm's length, used for tasks such as computer work and viewing the speedometer in a car. See also: near vision and distance vision. intraocular lens (IOL) Artificial lens that a cataract surgeon places in a patient's eye after removing the eye's natural lens. Like a contact lens, it has a built-in refractive power tailored specifically to the patient's visual condition. For more information, please read our article on intraocular lenses (IOLs). intraocular pressure (IOP) Eye pressure, as determined by the amount of aqueous humor filling it. High IOP (ocular hypertension) can be a sign of glaucoma. Read more about high eye pressure. ion An electrically charged atom. iris The pigmented structure that surrounds the pupil and determines eye color. The iris also acts as a diaphragm that increases and decreases the size of the pupil to control the amount of light entering the eye. Read more about the iris of the eye. ischemia Poor blood flow. Obstructions such as clots in veins and arteries can block blood flow, depriving tissue of oxygen and nutrients. These blockages also can cause "eye strokes" and sudden vision loss. jaundice Yellow coloring in the skin and eyes caused by high levels of a pigment called bilirubin. Jaundice is associated with a variety of conditions involving the liver, gallbladder and bile ducts, including hepatitis and cirrhosis. keratectomy Surgical removal of part of the cornea. keratitis Inflammation of the cornea, caused by an infection or inflammatory process. Symptoms include eye pain or discomfort, light sensitivity, foreign body sensation, grittiness and tearing. keratoconjunctivitis sicca Also called dry eye syndrome. Chronic lack of sufficient lubrication and moisture in the eye. keratoplasty Any of several types of corneal surgery, such as shrinking the collagen to reduce farsightedness or transplanting a new cornea to treat keratoconus. keratometer An instrument that measures the curvature of the eye's clear, front surface (cornea). Keratometers help eye doctors collect information for contact lens fittings and surgical procedures. With keratometry, reflected images also can help identify dry eyes. keratotomy Incision of the cornea. lacrimal plug Also called punctal plug. Device to block the lacrimal punctum (an opening at the end of a tear duct), to keep the eye moist. Lambert-Eaton myasthenic syndrome LEMS is an autoimmune condition that occurs at the junctions of nerve and muscle cells. Disruption of the electrical impulses between these cells produces muscle weakness, a tingling sensation, dry mouth and fatigue. 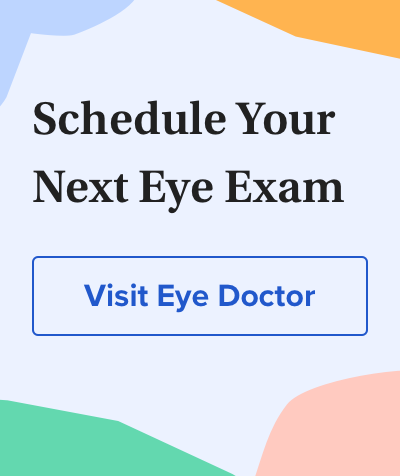 LASEK (Laser Epithelial Keratomileusis) Procedure that is similar to LASIK, except that the surgeon cuts a flap in the epithelium only, instead of through the epithelium and part of the stroma. LASEK is used mostly for people with thin or flat corneas who are poor candidates for LASIK, which requires more corneal tissue for success. Please click here to read our article about LASEK. laser photocoagulation Procedure in which a surgeon uses a laser to coagulate tissue, usually to seal leaking blood vessels and destroy new ones in diseases like macular degeneration and diabetic retinopathy.
. Please read our LASIK procedure article. lateral rectus muscle Muscle that moves the eye away from the nose. lead poisoning Condition resulting from excessive levels of lead in the body. Typically, children get lead poisoning from chewing or sucking on lead paint in older homes (lead paint was banned in the 70s). Some people remain symptom-free, but others may suffer convulsions, paralysis, learning difficulties or abdominal and other pain. Some people can also develop vision loss. Leber's congenital amaurosis Inherited condition characterized by vision loss or blindness at birth or shortly thereafter. The exact cause is unknown, but doctors believe that the retina may degenerate, or that its photoreceptors may not develop properly. Nystagmus is a common symptom. legal blindness A severe visual disability where: 1) the best attainable visual acuity in a person's better eye (with corrective lenses) is 20/200 or worse on a standardized eye chart; or 2) a person's peripheral vision is restricted to no greater than 20 degrees at its widest diameter, as determined by visual field testing. Learn more about legal blindness. lens 1. The nearly spherical body in the eye, located behind the cornea, that focuses light rays onto the retina. 2. A device used to focus light into the eye in order to magnify or minify images, or otherwise correct visual problems. Eyeglass lenses, contact lenses, and intraocular lenses are examples. Sometimes a lens provides only a cosmetic benefit, as in non-correcting color contacts, theatrical contact lenses, or contacts that hide a disfigurement of the eye. Other times a lens protects the eye, as in safety glasses or sunglasses. A bandage contact lens may be applied after eye surgery. And contact lenses used in ortho-k or corneal refractive therapy are designed to reshape the cornea for better vision when the lens is removed. lens dislocation Full or partial displacement of the eye's lens. Dislocation is often caused by trauma to the eye or head, but may also be inherited or come as the result of certain systemic conditions, such as Marfan's syndrome or homocystinuria. Blurred vision is a typical symptom, and some people may experience double vision and/or develop glaucoma. leukocoria White pupil. Causes include congenital cataract, retinoblastoma, intraocular infection, Coat's disease and retinopathy of prematurity.
) separating the cornea from the white of the eye (sclera). By altering this portion of the eye instead of the center, surgeons are able to preserve the surface and optical qualities of the cornea. limbus Boundary area connecting the cornea and sclera; the three form the eye's outermost layer. lipid Organic compound that is oily, fatty, or waxy and commonly found in living cells. Lipids are one component of human tears, forming an oily outer layer that helps keep the eye moisturized by reducing evaporation of the watery and mucus layers beneath it. Lipids can collect on contact lenses, making them uncomfortable. liver spot Benign dark spot on the skin, usually brown, that is associated with exposure to sunlight. Liver spots tend to increase in size. low vision Also called partial sight. Sight that cannot be satisfactorily corrected with glasses, contacts, or surgery. Low vision usually results from an eye disease such as glaucoma or macular degeneration. Learn more by reading our articles on low vision. LTK (laser thermal keratoplasty) Also called laser thermokeratoplasty. Surgery to correct mild farsightedness in people over 40; the doctor uses a holmium laser to heat the cornea and shrink its collagen. lupus erythematosus Inflammatory skin disorder. The exact cause is unknown, but some people appear to have a genetic predisposition to developing lupus, and it is much more common in women than men. Systemic symptoms vary depending on the type of lupus, but red patches on the cheeks are common. When lupus affects the eyes, it can have such symptoms as a red or pink lid, a spot or scale on the lid that may change in pigment (generally losing pigment except for darker color marking the border of the spot), eyelash loss, dry eye syndrome, migraine headaches, uveitis, scleritis, conjunctivitis and retinal vascular occlusion (blockage in the retina's vascular system). lutein An antioxidant that is found throughout the body, but is concentrated in the macula. Lutein is believed to help protect the eyes from free radical damage caused by the sun's harmful rays. Read more about lutein and the eyes.